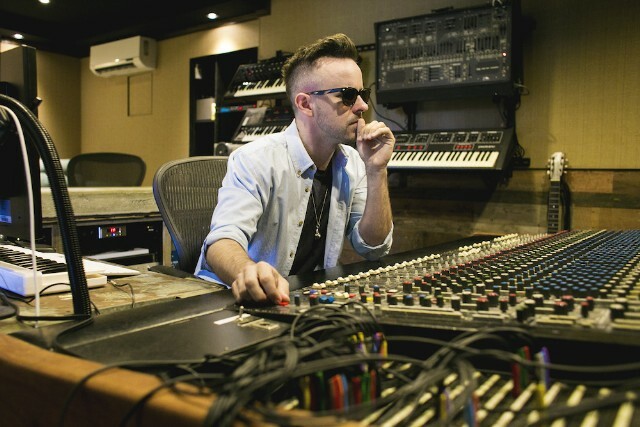 After helming hits for Jason Derulo, Fifth Harmony, Twenty One Pilots, Meghan Trainor, and more, the 33-year-old producer has become the go-to guy for pop stars looking for a change. So how does he do it? There are two types of smiles. The first comes from concerted approval; the second spreads reflexively. The former is often feigned, the latter is all natural. Ricky Reed makes the second type. 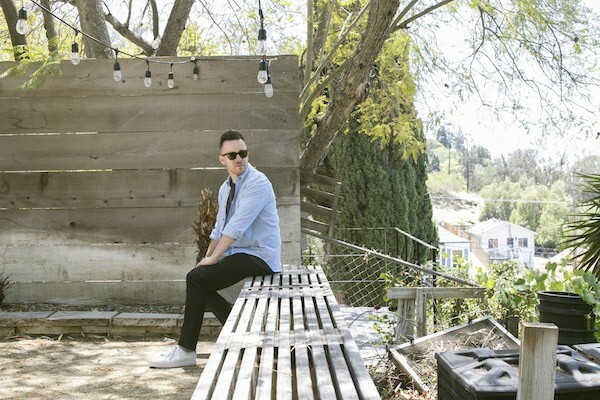 It’s a sweltering April Friday in Los Angeles’ steep Elysian Heights neighborhood when the pop producer’s face bursts with ear-to-ear glee. We’re in the basement studio of Reed’s three-story compound, which houses the operations of the 33-year-old’s new Atlantic Records imprint, Nice Life. Upstairs there’s a modern living room with floor-to-ceiling windows overlooking the city below; downstairs, Reed runs his hands underneath a Sound City piano, looking for the sticker Tom Petty slapped on its undercarriage when it belonged to him. The smile spreads across his face. He pumps his fist. “I knew there was something special about it,” he says. Plenty of stars would swear there’s something special about the magic Reed makes behind the decks, too. 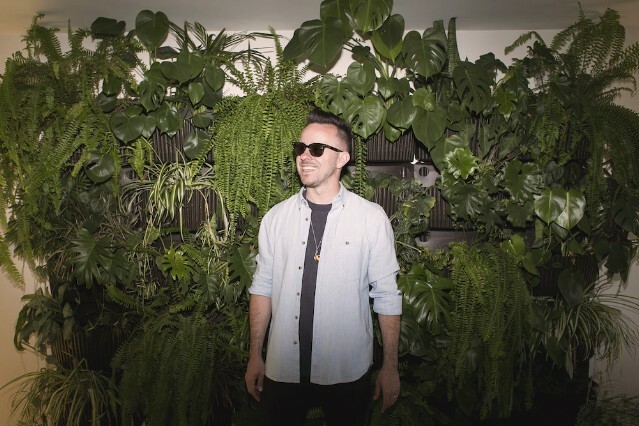 Born Eric Frederic, the producer slowly has ascended the ranks of pop music’s elite over the past half-decade; with a solo career of his own (as the leader of the Bay Area-indebted electro-rap group Wallpaper. ), Reed has also helped redefine the sound of pop radio with his work for acts like Jason Derulo, Fifth Harmony, Twenty One Pilots, Pitbull, and Meghan Trainor. If you’ve heard a muscular horn hook or a bass line so funky your nose involuntarily wrinkles, odds are that he’s behind it, but don’t expect him to repeat his tricks. Every move he makes shifts his constantly evolving sound, making him tricky to pigeonhole and increasingly more in-demand. If you give him a chance, he’ll flip the script with a grin. The producer says Wallpaper. was informed by Oakland’s gritty, fast-paced hyphy rap scene. Reed’s music emulated the sounds of the Bay, emphasizing bass and taking clues from E-40 and the Federation. Wallpaper. put out their first album, Doodoo Face, in 2009, on the Los Angeles indie Eenie Meenie Records. The clanging, Auto-Tuned effort was incredibly of its time, and successful in its attempt to spoof the Flo Rida-fication of pop. “You see baby, my name is Ricky Reed, and, well, I’ve come from the ocean floor to the liquor store,” a pitched-up Reed warbles on the album’s first track, “Indecent.” It’s goofy stuff. It took him by surprise when Wallpaper. actually built some momentum; what was meant to be a spoof instead became entirely real, mirroring the way listeners flocked earnestly to the Beastie Boys around the time Licensed to Ill landed. Still at Berkeley, Reed buckled down on his studies, majoring in western music composition and studying West African drumming with a Guinean professor named CK Ladzekpo. “There was a synchronicity to [studying with him and working on Wallpaper.] that stuck with me, and that still informs my music production now,” Reed says. In 2013, a Reed demo meant found its way to Jason Derulo’s team. Though Missy Elliott initially wanted the track, with its Balkan Beat Box sample, Derulo wound up recording “Talk Dirty” over Reed’s production instead. The sax-heavy “Talk Dirty” hit the Internet in August 2013. It charted overseas first — Reed remembers the pride he felt in telling his parents the song had hit No. 1 in Australia — and quickly burned up the U.S. Hot 100 thereafter. It peaked at No. 3, a huge win for a Top 40-untested producer. After the song’s success, Warner Bros. pulled Reed back into the studio with Derulo, where the two banged out “Side FX” and the slide-whistling “Wiggle,” the latter of which topped off at No. 5. Soon after, Wallpaper. joined Derulo to record and perform on tour. Twelve songs came out of the sessions, though only one — Everything Is 4’s “Get Ugly,” on which Reed gets a shoutout (“Hey Ricky, this beat gives me that ugly face, man!”) — has seen the light of day. In 2014, Reed produced hit singles for Pitbull (the flamenco-flavored “Fireball”) and Fifth Harmony (the similarly horn-reliant “Bo$$”). “I wasn’t that familiar with [5H], and that helped,” he says. “I didn’t know any of the dynamics — who’s usually lead, who’s not usually lead — so we had them all sing the song top to bottom. Immediately in the verses, I was like, ‘Normani [Kordei], you got this. You’re killing this one. Let’s have you kind of float towards the surface.’ Somebody at the label was like, ‘That’s awesome. She traditionally doesn’t do the lead. '” He’s since cut two more tracks with Fifth Harmony — “like, really f**king good songs” — that have yet to be released. Instead, Reed booked projects with the alt-pop duo Twenty One Pilots and the Colombian tropical group Bomba Estéreo. “I have a short attention span, to some degree,” he says. “I need to do different s**t. I think because I didn’t think of myself getting into writing and production since I was younger, I could get bored of it if I don’t continue to pivot.” Six of the songs on Twenty One Pilots’ 2015 album, Blurryface, are Reed productions, including the band’s first crossover hit, “Tear in My Heart,” a piano-based rock song unlike any of Reed’s other smashes. The album itself has sold just shy of a million copies since its release. “I wouldn’t say that [Meghan and I] butted heads, but there was definitely some healthy prodding on my end,” he says. “She’s always been such a brilliant songwriter and singer. She was raised around Soca and Caribbean music, so all I did was say, ‘Let’s expose all this. Let’s actually be less conscious about stylistically drilling it down to a certain thing, and experiment.’ Once we wrote ‘NO,’ we opened the Pandora’s box that we couldn’t close.” Thank You launched with 107,000 equivalent units sold in its first week, charting at No. 3 on the Billboard 200. After Reed finishes our conversation, Nice Life signee Lizzo bounds into the studio with a laptop tucked under her arms. The Minnesota rapper is here to play Reed new demos. Though she only just released Big GRRRL Small World this past December, Lizzo has been working with the hit-maker for a year on that album’s follow-up. In March, she released the glorious self-worth anthem “Good As Hell,” the retro-soul lead single from the Barbershop: The Next Cut soundtrack. As Reed leans back in his chair to listen to Lizzo’s new cuts, she hits play and the speakers begin to rattle. She raps along to collaborations with Dev Hynes, MNDR, Al Shux, MNEK, and DJ Dahi. Of the seven songs she spins, there’s not a weak one in the bunch. Reed, however, thinks more analytically. He’s constructively dismissive of some, and shelves others entirely. When one chorus sends out room-rattling bass from the speakers, I look over at Ricky, who’s turned his back to the room, hands folded in his lap as he listens. The chair swivels. He looks at Lizzo and grins, clapping his hands together. Ricky Reed approves. That’s how hits are made.